If you happen to be an Android user who loves to watch your favourite movies and TV shows while on the go then there are definitely lots of streaming service to choose from such Tivo, Netflix or Amazon Prime and they all give you endless hours of high-quality entertainment. But if you are looking for an Android app that does all this and more, all for free then you might want to check out ShowBox. With the ShowBox App, you can stream all your favourite movies and TV shows such as Game of Thrones, Dexter, Suits, Sherlock and many more directly from your phone, and it's absolutely free of charge. You also have the option to select your preferred streaming quality either HD or SD. Aside the Android app, ShowBox is also available on Windows and iOS. Aside streaming movies, the app also gives you the option to download movies in different resolutions. You can watch or download video content in different resolutions such as 360p, 480p, 720p. You can even share the Movies & TV shows to the Facebook, WhatsApp and other social media directly from the app itself. >> Showbox app has a feature in which it shows the trending movies & tv shows. You can find out interesting stuff using Showbox. >> Apart from streaming videos, you can get all new updates about the latest movies, shows, trailers and new releases directly on the home screen of the app. >> Showbox movie app provides lifetime free service where other streaming apps have paid subscription packages. >> Watch latest movies, tv shows & trailers on your Android smartphone with a far better experience even than paid services. >> Stream Video at full HD quality plus best sound quality which will enhance your movie watching experience. >> You can also download your favorite movies, tv shows or trailers & save for offline use. Downloads are available in all formats. You can download the latest ShowBox App by clicking on this LINK. >> First, download the latest ShowBox app by clicking on this LINK. 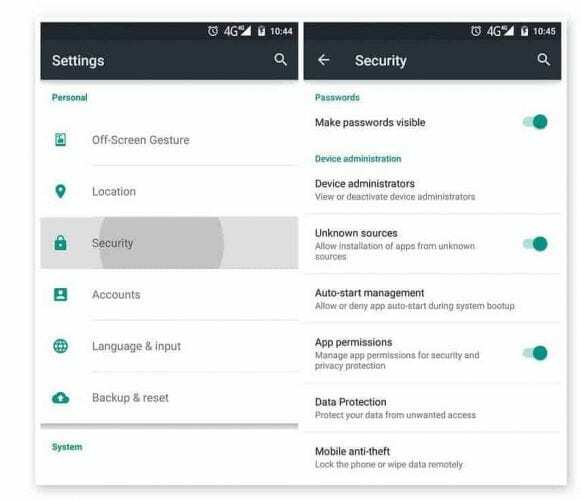 >> After that, enable installation of Apps from unknown sources by going to your Phone Settings >> Security >> Unknown Sources, then enable it. >> Now go back to the file you downloaded and click on it to begin installation. >> After installation, just open the App and start streaming and downloading your favourite movies free of charge. If you have any question to ask, feel free to drop it in the comment section below and also don't forget to kindly share this post on your various social media platforms.